Obituary for Sr. Mary Elizabeth Sardinha | George C. Lima Funeral Home, Inc. 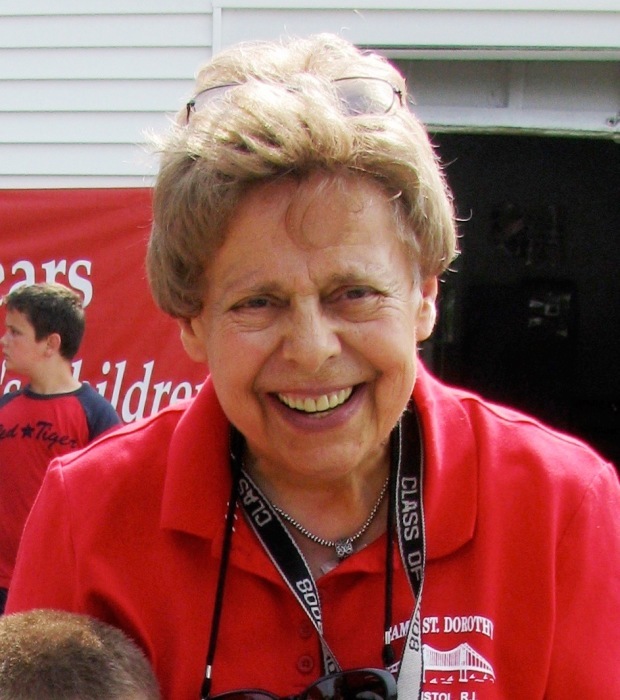 Sister Mary E. Sardinha, 85, passed away on April 10, 2019 at Villa Fatima in Taunton MA. Beloved daughter of Alexandrina Mello and Manuel Sardinha, Mary Elizabeth was born in 1934. She was the only daughter among seven brothers; Manuel, Joseph, John, Louis, Anthony, Edward and George all of whom predeceased her. She leaves many special and loved nieces, nephews and grand nieces and nephews. Sr. Mary (Sr. Sards) entered the Sisters of St. Dorothy in 1951 and professed her perpetual vows in 1960. She then taught in elementary schools in New York, Michigan, Massachusetts and Rhode Island. She was principal of St. Francis Xavier School in East Providence and in 1972 was assigned to Our Lady of Fatima High School in Warren. She was instrumental in founding Fatima’s Pro-Life Club which was a cause very dear to her, to the extent of spending time in jail in defense of this worthy cause. Summer Camp at Mount St. Joseph with Sr. “Sarge” will remain a vivid memory in countless lives. Sr. Sards volunteered for the missions in Taipa, Macau and in Progreso, Texas aiding the poor on the border of Mexico. Her hometown of Bristol honored Sr. Mary by bestowing the Citizen of the Year Award in recent years. Sr. Mary was energetic and fun. She lived life to the fullest and through her counseling of youth and families shared her loved and enthusiasm for God with countless people. She will be deeply missed by her Sisters, family members and by all who been touched by her life. Family and friends are invited to attend a Mass of Christian Burial Monday. April 15th, 10 AM at St. Elizabeth’s Church, 577 Wood Street, Bristol. Burial will follow in St. Mary’s Cemetery, Bristol. Calling hours are Sunday, April 14th. 4-6 PM at the George C. Lima Funeral Home 367 High Street, Bristol. In lieu of flowers, memorial donations may be made to: Sisters of St. Dorothy 13 Monkey Wrench Lane, Bristol RI 02809.